Details on Martha Stewart Products Offered in MarthaHome at JC Penney! Thanks again to FOM Alan for this tip! Sounds like MarthaHome will launch with offerings carefully selected to comply with those categories Macy’s feels they have the “exclusive” right to sell: specifically, cookware, kitchen utensils, bedding, and bath. Instead MarthaHome will offer Martha Stewart Pantry (pantry and food items) and Martha Stewart Celebrations (paper party items). Interestingly, the article in Dallas Morning News mentions a new private label called “Everyday” to be offered at JC Penney stores. (The retailer’s brand tagline is “Every Day Matters.”) This new private label is interesting because, of course, “Martha Stewart Everyday” was the name of Martha’s line at Kmart–a line which featured products in those very categories that Martha is now forbidden to sell at other retailers, according to Macy’s interpretation of the contract. It is unclear if MSLO has been involved in the development of the new “Everyday” line at JC Penney–but as long as it’s not sold with Martha’s name on it, it would be considered legal per the Macy’s agreement. 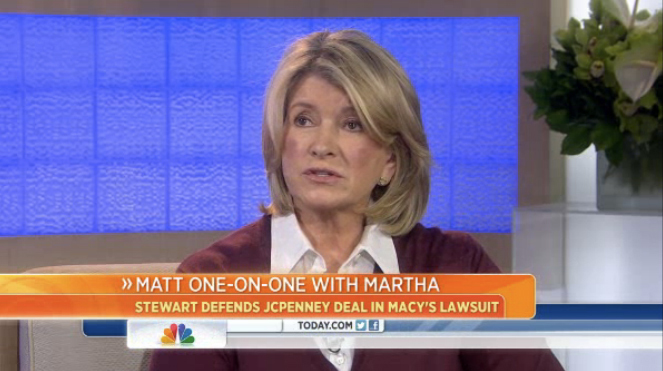 It is also unclear if Martha’s contract with Macy’s has language in it to protect any intellectual property that she already owned before entering into her contract with Macy’s, which would leave open the possibility of selling products under the “Martha Stewart Everyday” brand online or through the mail–although not at another retailer. It is worth nothing that when the Martha Stewart Collection launched at Macy’s in 2007, Martha Stewart Everyday products were still being being sold at Kmart. 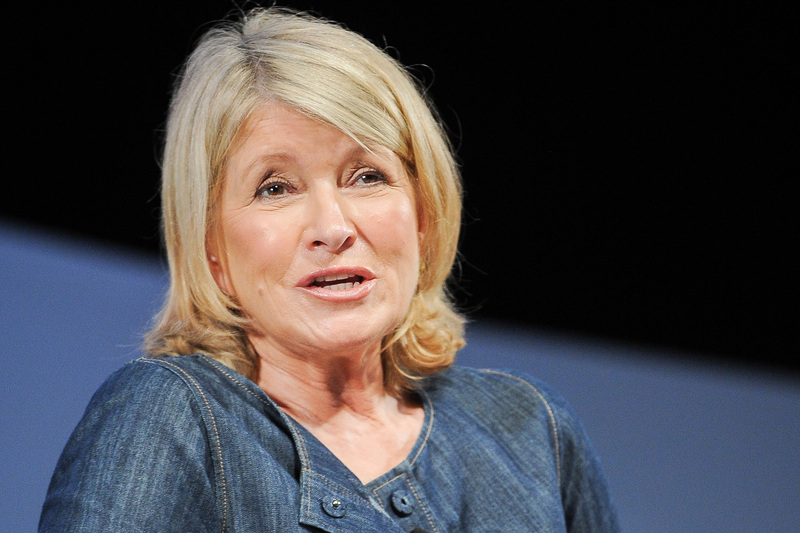 It wasn’t until the end of 2009 that Martha Stewart Everyday ended its run at Kmart. So, Macy’s didn’t originally have a problem with the duplicate categories being sold at another retailer. The other legal challenge is a lawsuit Macy’s brought against Martha Stewart Living Omnimedia over its celebrity founder’s participation in the Penney transformation. Lawsuits between Macy’s, Martha Stewart Living and Penney were consolidated last year, and the case goes to trial Feb. 20. For now, Martha Stewart’s name is on rugs, window coverings and two new lines, Martha Stewart Pantry, a collection of food mixes, and Martha Stewart Celebration, a large selection of paper party products. The 1,100-store chain also has a new private label called Everyday that includes bed, bath, tabletop, cookware and furniture, categories that Stewart must avoid due to a court order. Penney plans to open its Martha Stewart shops by Mother’s Day in 536 stores.